Runner up Apprentice of the Year. Winner Recognition award – Cassandra Golding. The Australian School Based Apprenticeship Student of the Year Award is presented to an outstanding secondary school student undertaking a School Based Apprenticeship. Once again due to the high quality of nominations, a recognition award will be presented before the Award winner is announced. 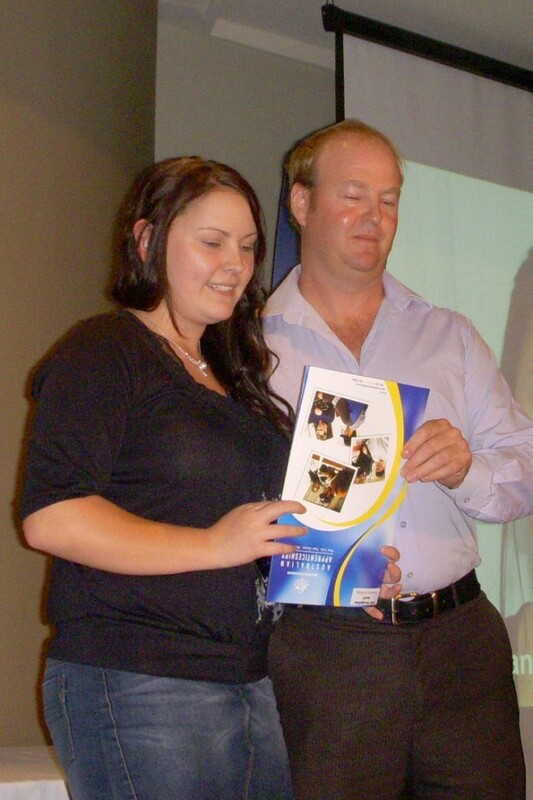 Recognition award Cassandra Golding from Waikerie High School. The Riverland and Mallee Vocational Award 2010/11 for the Australian School Based Apprentice of the Year is shared by two recipients. Winners School Based Apprentice - Kyle Pedler,Cameron Jacob. 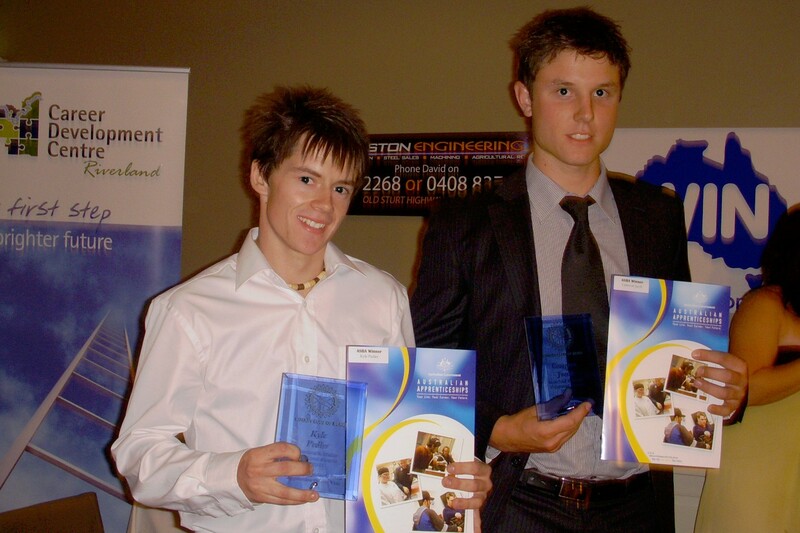 Kyle Pedler from Loxton High School and Cameron Jacob from Lameroo Regional Community School. Kyle is undertaking an automotive mechanical apprenticeship with Flight Motors in Loxton. His future goal is to be the best mechanic he can possibly be. He values the opportunity given to him by Flight Motors, and enjoys the excellent working environment and friendly and helpful team he works with. Kyle’s School Based Apprenticeship has enabled him to complete his SACE and start his career as a motor mechanic. Cameron is undertaking a Plumbing apprenticeship through Murraylands Training and Employment and hosted by Haig & Menzel Contractors. Living in Geranium, Cameron drove 100 kms each way to attend work in Murray Bridge. He loves living in the country and hopes to stay living in a rural community while completing his apprenticeship. He would recommend a School Based Apprenticeship to any one who aspires to take on a trade as their profession, as it gives the best of both worlds; studying towards a profession while still obtaining your SACE. For vocational service, these awards truly epitomise Rotary in action.